Divorce and College Costs: Can the Kids Force Parents to Pay? Most would agree that a college education is a required stop on the path to financial security. However, most states don’t factor costs for higher education into Child Support formulas. In general, support continues until the children reach the legal age of majority or slightly longer if the children are still in high school. Reported widely in the the national press, the New Jersey case of 21-year-old Caitlyn Ritchie, who won a lawsuit against her divorced parents to enforce payment of $16,000 per year towards her out-of-state college tuition, has sparked controversy. Should divorced parents who can afford it, be forced to pay for their children’s college costs? Although the details of the Ritchie matter can be critiqued and analyzed, the larger theoretical issues it raises may significantly impact the finances of divorcing couples. Why should children of divorced couples have more rights than those of married couples? Married couples are not required by law to pay college tuition. This is the crux of the argument against the Ritchie ruling. The judge in the Ritchie matter cited a 1982 case, Newburgh v. Arrigo (88 N.J. 529) in which the Court ruled, relative to a divorce that a “financially capable parent should contribute to the higher education of children who are qualified students.” What isn’t addressed in Newburgh is how the Courts should define who is financially qualified? Will income and expenses be taken into consideration and if so, what expenses are legitimate? Often times, children of divorced parents don’t qualify for financial aid because their parents’ incomes are too high. Of course, this can also be the case for children of married couples. However, divorce situations can sadly lead to more contention over who will pay for college, especially if there is a new family to support. This raises questions for divorcing couples about long-term implications of who claims tax dependency exemptions for minor children. It raises even bigger philosophical questions about the legal age of majority in our country. As any parent of a 19-year-old can attest, “self-supporting adult” is not the first term that comes to mind when describing their teenager. 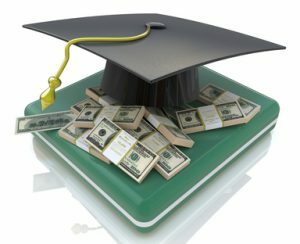 For divorcing couples who live in States that don’t address college tuition, they can stipulate how college will be funded within their Judgment of Divorce. Although the Judgment is a legal document enforceable between the parents, there are numerous cases in which children have been able to enforce college provisions. Other options include earmarking dollars today into 529 accounts for the children, with the hopes funds can be used to support college costs. However, this may also hinder the child’s ability to receive financial aid in the future. Parting words of advice; A) this topic isn’t going away anytime soon and B) think twice before moving to New Jersey. What are your thoughts? Is college a luxury or necessity? Should it be addressed within the context of Family Law Courts?